VIP is a ground-breaking, award-winning music software platform that provides musicians and composers with a total control solution for their virtual instrument and virtual effect collection. VIP provides you with unparalleled access to your virtual instrument and effect collection, seamlessly integrating the hardware/software experience and grants the unrestricted freedom to create in a user-friendly, intuitive format. The combination of VIP and a compatible keyboard controller maximises workflow and ensures a playing experience that feels natural and enhances creativity – the natural, tactile feel of hardware, now fused with the unrivaled processing capability of Virtual Instruments. What is VIP 3.0 Plus? The following steps will walk you through obtaining your promotional copy of Akai's VIP 3.0! Sign into your online account. Under the listing of this registered product, you will see the promotional offer for VIP 3.0. Copy the Coupon Code for VIP 3.0 and click on the link to "Get Your Copy Now". The page that loads will give you two options to purchase VIP 3.0 but don't worry, with the coupon code from your account, the software will be free! On the right-hand side of the screen, enter the coupon code provided to you in your account and hit 'Apply'. The subtotal of your order will change to $0.00. Complete the purchase by providing a valid and current email address. The license code for VIP 3.0 will be sent to you via email, so make sure you have access to the email address you provide upon checkout. Once you have completed the purchase, you will be brought to a confirmation page. 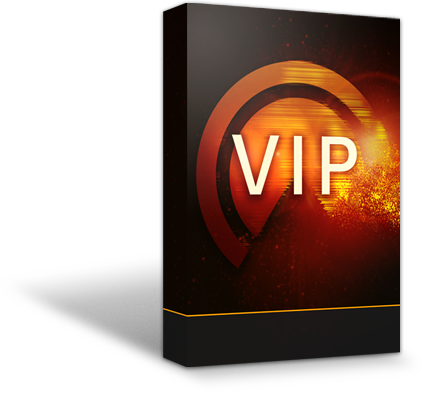 On this page, you are given the option to download VIP 3.0 for either Windows or Mac computers, you will also find your authorization code for VIP 3.0 here! Select your download for VIP 3.0 and be on the lookout for the email containing a copy of your authorization code. Make sure to check your junk mail for the email containing your authorization code, this will be sent to you from a mailer address at fastspring.com. Be sure to maintain a copy of this email as a proof of purchase. Once the email is received, authorize VIP 3.0 in iLok and be sure to maintain a copy of your receipt! You're all set! Enjoy your promotional copy of VIP 3.0! During the download process, you may have noticed that there was an option to upgrade to VIP Plus.